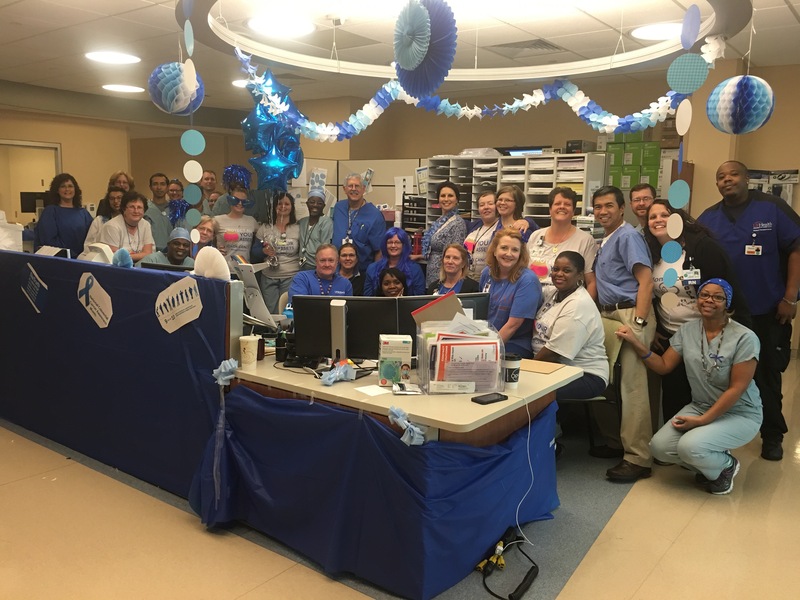 Dress in blue all month with UF Health to help raise awareness for colon cancer and the importance of regular screenings to save lives. An atrium event will be held on Friday, March 25th, where UF Health staff can get on the FasTrak to schedule a colonoscopy, walk through a giant inflatable colon to see the various stages of the disease and learn ways to prevent colon cancer. Colon cancer is the second-leading cancer killer in the United States for men and women. At least 60% of deaths from colon cancer can be avoided. You can stop colon cancer before it starts. Colon cancer often starts with no symptoms. There are currently more than 1 million colon cancer survivors in the United States.